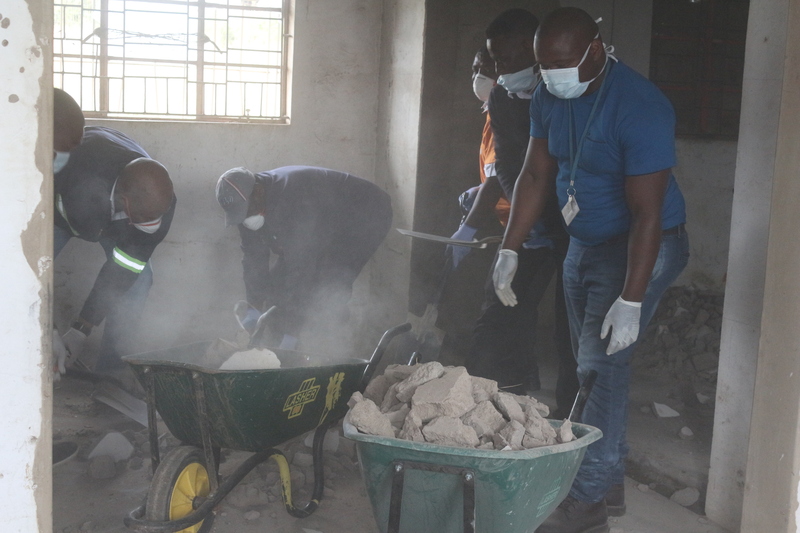 Africa Health Research Institute (AHRI) students and staff in partnership Masakhane Properties got behind Mandela Day 2018 by helping with the renovation of a library at a nearby high school. 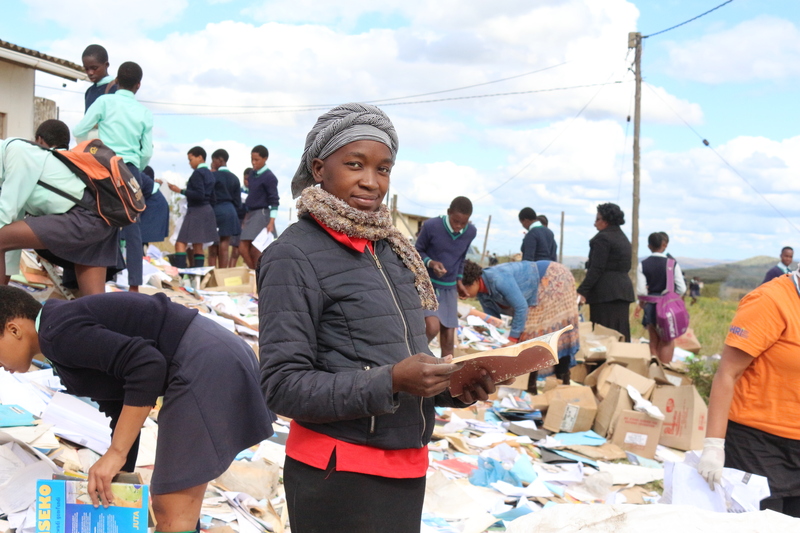 AHRI also did a general clean-up at Inkosi Mgwazeni Secondary School in northern KwaZulu-Natal. Mandela Day is an international campaign that calls on each person to make the world a better place. The day, celebrated on Madiba’s birthday on July 18th every year, remembers and cherishes Tata Nelson Mandela and his spirit of ubuntu. AHRI’s Head of Public Engagement, Nomathamsanqa Majozi, says that AHRI felt supporting the library project was a sustainable way that AHRI could help. Alongside this initiative AHRI staff had a book collection drive for the Inkosi Mgwazeni library. AHRI COO Raynold Zondo says as an organisation that works very closely with the uMkhanyakude community it is important that AHRI gives back, as our work wouldn’t be possible without them. 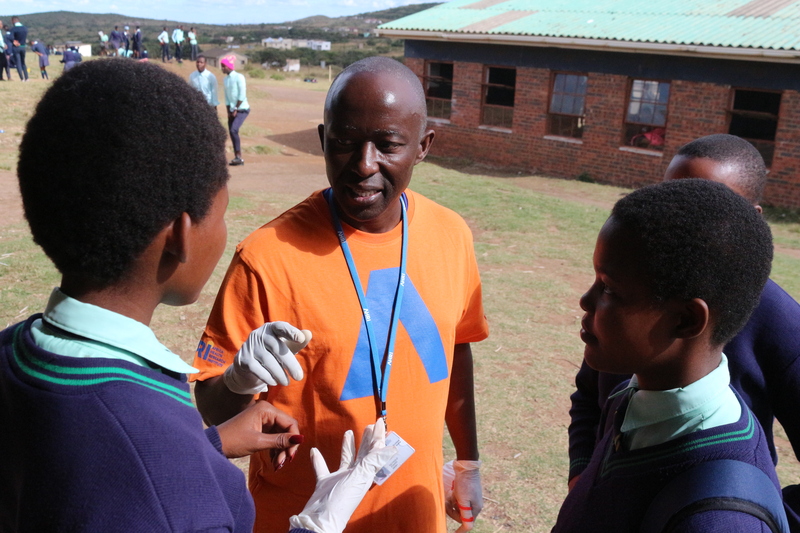 AHRI COO, Raynold Zondo discussing future career plans with Inkosi Mgwazeni Secondary School grades 11 and 12 pupils Zama Mdletshe, Simphiwe Jobe and Londiwe Ntshangase.